The best option when it comes to doing your own hair for the wedding is to keep it simple. Stressing yourself out over something fancy that may end up flopping is just not worth it. Consider allowing your accessories to feature instead of the hairstyle. A lovely aliceband, a pretty clip, tiara or even your veil can serve as the main focal point. An aliceband is easy enough to place and it is relatively simple to pin your hair back on one or both sides with a clip or two. These types of accessory can work for pretty much any style of hair. A very easy style would be to simply iron your hair flat. If you don’t have a good flatiron then I suggest you borrow one from someone who does (who can say “no” to the bride-to-be?) and practice straightening your hair at least once before the big day. 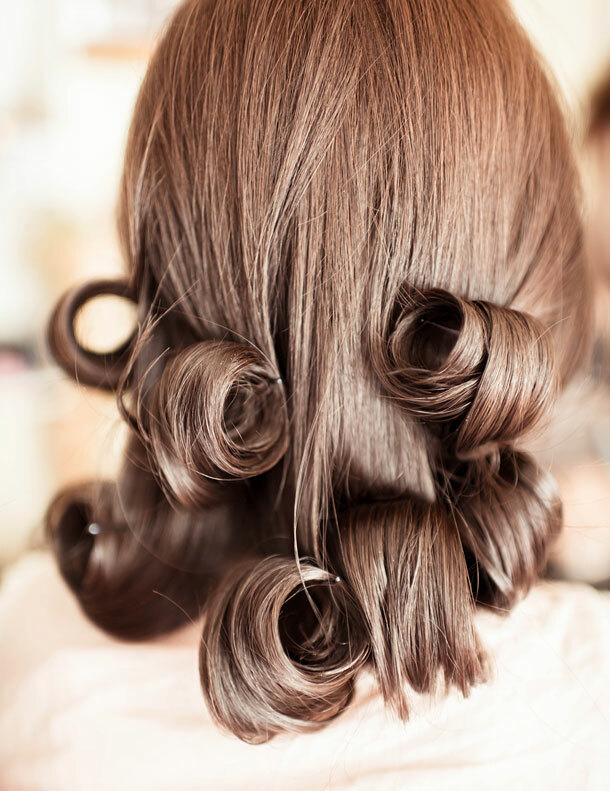 Practice curling your hair at least once before the big day if you are not accustomed to curling your hair often. For a morning wedding it might be best to invest in soft curlers and sleep with them in your hair the night before, otherwise put them in early in the morning and allow them to set throughout the day. If you want your hair up then the best way to achieve a soft and simple look is to pin it up with a sturdy (and pretty) clip that will be easy to re-pin if your hair happens to start slipping. Consider barrettes, sticks (they look like chopsticks but they’re pretty) or French combs. Invest in a good hairspray that has a strong hold without leaving a hard and sticky look. Once you are happy with your look give it a generous spray to keep your hair as tame as possible.